The Canon EF 100-400mm f/4.5-5.6L IS II USM telephoto zoom lens is an updated version of the very popular 100-400mm class of pro lenses from Canon. This new lens features a twist zoom instead of the push-pull design of it’s predecessor. Canon also claims an improvement in the image quality, although the previous version was no slouch in this regard. This lens is recommended for wildlife and daytime sports photographers, although wildlife photographers will find that in the early and late hours of the day when the sun is very low the max aperture of f/4.5-5.6 will require higher ISO’s to keep the shooting speed fast enough for the action. I have not yet formally tested the Canon EF 100-400mm f/4.5-5.6L IS II USM, however in my brief experience with it I was very impressed with the image quality. One thing that really grabbed my attention is the lens’ close focusing capability. At 38.4 inches minimum focus distance this lens is able to capture at 0.31x magnification, putting it near macro lens territory. This lens should work well for larger insects due to it’s better than expected close focusing and comfortable minimum distance. The USM auto focus system from Canon has been proven to be fast, silent and reliable and this lens is no exception. The lens is internally focused so the front element does not rotate during AF operations. 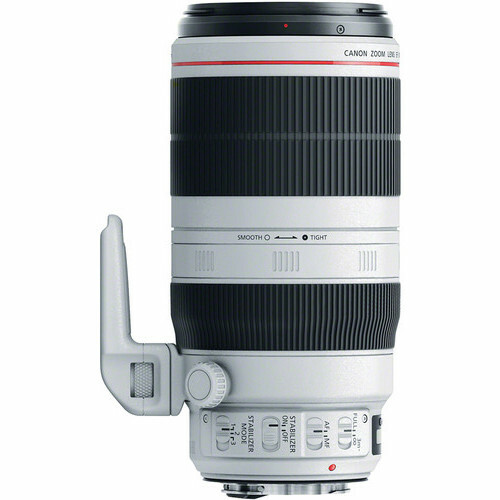 Like all Canon “L” lenses the Canon EF 100-400mm f/4.5-5.6L IS II USM is built to pro grade standards featuring weatherproof construction, mostly metal body and a stainless steel lens mount. Since this lens is built with the working pros in mind, it is designed accordingly. 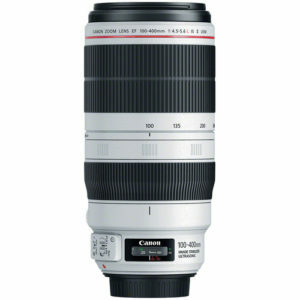 If you want or need a lens that can zoom to 400mm then the Canon EF 100-400mm f/4.5-5.6L IS II USM should be very high on your list. 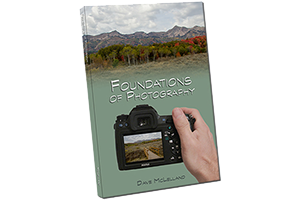 Unfortunately, at $2,199 it will not find it’s way into most photographers kits, but to quote Ferris Bueller as he is driving his friend’s Dad’s Ferarri, “If you have the means I highly recommend it”. If you can’t afford it you may want to take a look at the Sigma and Tamron 150-600mm lenses. Both of these lenses do offer a good “bang for your buck” value, but they are not quite up to the standard of the Canon EF 100-400mm f/4.5-5.6L IS II USM. based on 510 user reviews online.